We have Chosen Penguins as our class mascot. Read below to find out why. Penguins are a fantastic mascot for our 3rd grade G&T class. We feel penguins are an outstanding mascot due to, their perseverance, ability to communicate, and their ability to work together in a group. Penguins are able to persevere in difficult conditions. Penguins travel 50 miles on a trip that sometimes takes two months to complete. This trip long, difficult and frozen, but the penguins never gives up. One Penguin parent remains on the ice in this polar weather. They persevere to take care of their egg. In this G&T class we will persevere even when a problem is difficult. We won’t give up if we get it wrong. We will always try again. Excellent communication is important for penguins. Penguins communicate through a variety of different sounds. 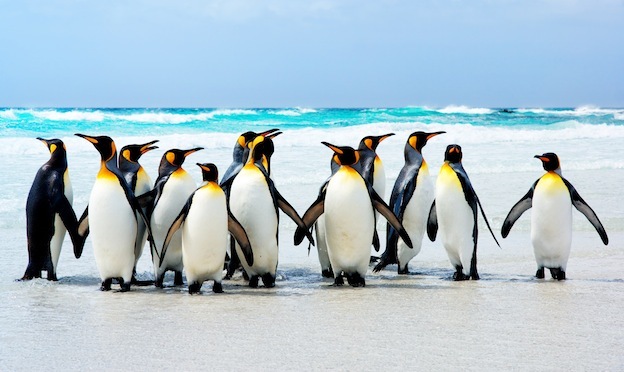 One penguin can make their call heard out of the huddle of penguins. This is important because when the emperor penguin returns to the ice it has to be able to find their mate. In addition, if a penguin is hurt or in trouble it can call out for help. Communication is also important for us. We must talk to each other to figure out a solution and help each other. In order to survive the arctic climate the penguins huddle together to stay warm. They work together to protect and support each other. The penguins protect each other from the cold by making a huddle. The penguins in the center are warm and protected from the cold weather. However once they are warm they move to the outside so other penguins can warm up. They are considerate and think of others to make sure everyone survives. We can relate to this because we will always work together and support each other to make sure we all succeed. The most tremendous mascot we can have is the penguin due to their perseverance, ability to communicate and their ability to work together in a group. We think penguins are an excellent mascot for our class.